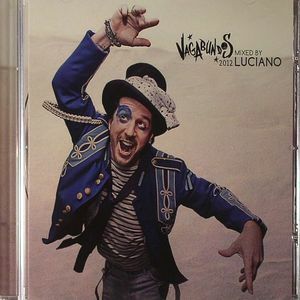 LUCIANO/VARIOUS Vagabundos 2012 vinyl at Juno Records. 1. Le K - "25th Of February Anatomy"
2. Substance & Vainqueur - "Revereation"
3. Technaisa - "Michigan Ride"
4. Nick Harris - "Surfing With Kilgore"
5. Alex Gori - "Zinghei"
6. BBQ - "BBQ Bounce"
8. 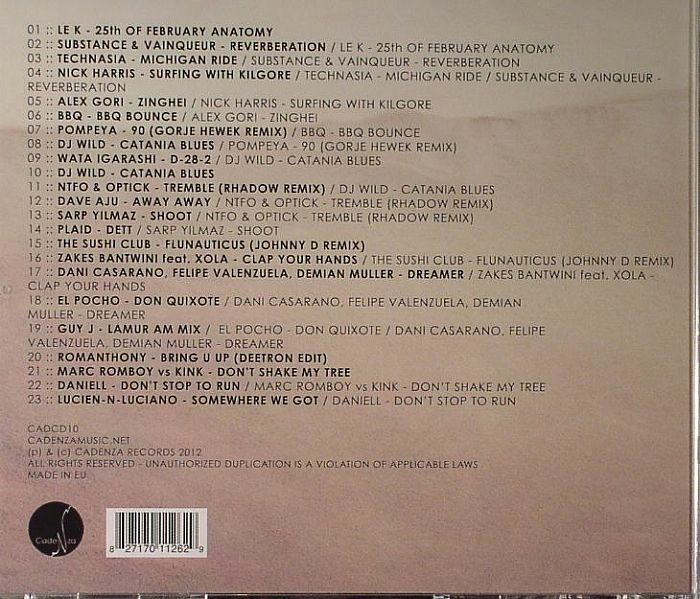 DJ Wild/Nick Harris - "Catania Blues/Surfing With Kilgore"
10. DJ Wild - "Catania Blues"
11. NFTO & Optick - "Tremble"
12. Dave Aju - "Away Away"
13. Sarp Yilmaz - "Shoot"
17. Dani Casarano, Felipe Valenzuela & Demian Muller - "Dreamer"
18. El Pocho - "Don Quixote"
21. Marc Romboy vs Kink - "Don't Shake My Tree"
22. Daniell - "Don't Stop To Run"
23. Lucien-N-Luciano - "Somewhere We Got"